Wilson is a little skittish if you approach him directly, but he loses all fear once the string toys come out! He loves to play. He's the same way with other cats. He keeps to himself most of the time, but he's happy to engage in playing with others when there are string toys involved. Born in 2017, he came from a California shelter. Wilson arrived at Best Friends with a little bit of an upper respiratory infection, but he's been fine since then. 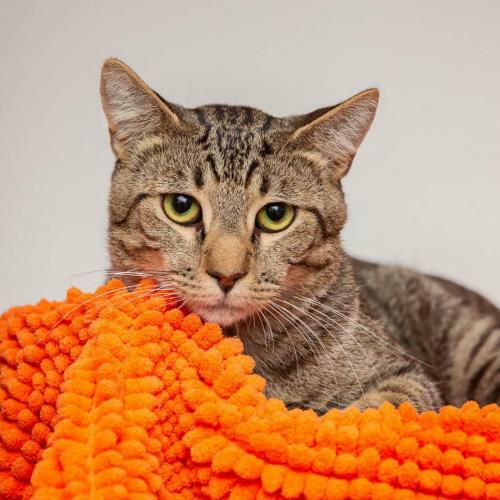 This handsome guy would be happy to go to any home that will let him play with toys!